Rising prices, low incomes and largely uninsulated housing are creating a "perfect storm" for fuel poverty. Last year more than 30,000 households had their electricity cut off. While solutions such as prepay meters can help with budgeting, they're an expensive form of energy and households can pay hundreds of dollars more for their power than they would on a standard plan. Researcher Kim O'Sullivan met Howard and Kahu in the winter of 2007. The Lower Hutt couple were struggling to keep their prepay electricity meter topped up. Several times Howard turned off the power at the mains when they were down to their last few dollars. Dinner for the couple's children was cooked on a barbecue. Kahu, who is dependent on a nebuliser, was admitted to hospital on one occasion when they ran out of electricity. In 2011 more than 30,000 households had their electricity cut off. Disconnections reached their peak just as the chill of winter power bills hit home. Kim O'Sullivan is a researcher with the University of Otago's Housing and Health Research Programme, and is completing a PhD on fuel poverty. Stories like the one she tells about Howard and Kahu are becoming increasingly common as electricity prices continue their relentless rise. Last year more than 30,000 households had their electricity cut off. Disconnections reached their peak just as the chill of winter power bills hit home. For the three months from July to September, more than 9000 homes were cut off from the grid for non-payment of bills. Electricity Authority data show disconnections have been increasing since mid-2008, after a brief dip following the death of Folole Muliaga in May 2007. The Mangere mother, reliant on an oxygen machine, had her power cut off after the family fell behind with payments. At least some of those now battling to pay the bills have been turning up at Work and Income. Figures provided to Consumer show the agency made 37,443 hardship grants last year to help beneficiaries pay for power. Most of these grants were made in winter. Helen Viggers, who works with O'Sullivan at the Housing and Health Research Programme, says all households are paying more for power than they did 20 years ago. But spiralling costs have had a bigger impact on low-income households – those at greater risk of falling behind with bills and having their power disconnected. In 2010, the lowest-income decile households were spending 13.1 percent of their income on energy compared with 7.6 percent in 1989, Viggers says. Top earners were also paying more but the increase had been far less pronounced, rising from 1.1 percent of household income in 1989 to 1.6 percent in 2010. Rising prices, low incomes and largely uninsulated housing are creating a "perfect storm" for fuel poverty. While there's debate about how fuel poverty should be measured, it's usually been defined as a household that needs to spend more than 10 percent of its income to keep warm. Based on this definition, Viggers says around 25 percent of households were estimated to be living in fuel poverty in 2008. For people struggling to pay their bills like Howard and Kahu, a prepay meter may end up being the only option for staying connected to the grid. A 2008 survey by the Electricity Commission showed there were around 53,000 prepayment meters installed nationwide. Viggers says the meters are "excellent for budgeting". Families know exactly how much they're spending on power and avoid $100+ disconnection and reconnection fees. But the meters are an expensive form of energy, a fact many prepay customers aren't aware of, she says. In 2009 and 2010, O'Sullivan compared prepay and standard "post pay" plans in Auckland, Wellington, Christchurch and Dunedin. She found rates for prepay were always more expensive than those for standard plans. Our comparison of 10 regions has also found homes with prepay meters can pay hundreds of dollars more for their power (see our Prepay vs standard table). The biggest difference we found was in Invercargill: a three-to-four person household there on Contact Energy's Prepower meter could pay $1099 more for power than an equivalent household on a standard plan. For Contact's Prepower customers in Dunedin, the difference was $856. One of the main reasons for the gap is that prepay customers don't get prompt-payment and other discounts offered by power companies. Industry players argue these customers didn't usually qualify for discounts anyway before they switched (see Industry position below). But this overlooks the fact that they're now paying in advance. They also receive a more restrictive service because they can't use electricity they haven't paid for – unlike post-pay customers. We think this justifies a lower tariff for prepay customers. As well as paying for their power use in advance, prepay users may incur other costs. Customers with state-owned Mercury Energy's GLO-BUG meter pay a processing fee of 65 cents each time they top up their meter. Some prepay customers may also be paying back debt through their meters. Viggers' research has found that households reliant on prepay meters can take "extreme measures" to reduce their electricity costs – in one case, turning off hot water two days out of three and never using heating. She's currently leading a study of prepay users in Wellington and has found that some are effectively "self-disconnecting" – going without power rather than topping up the meter. That's supported by O'Sullivan's research. As part of her PhD thesis, she carried out a nationwide postal survey of prepay households. While respondents liked the meters because they helped them to budget, 52 percent reported "self-disconnecting" in the past year. Half had done so only once or twice but 17 percent reported six or more "self-disconnections". In a follow-up survey, over half (57 percent) said having a prepay meter made them cut back on using heaters. Not surprisingly, indoor temperatures in most of the prepay households in Viggers' Wellington study aren't anywhere near those recommended by the World Health Organization (WHO). It recommends a minimum indoor temperature of 18°C. Few Kiwi homes achieve this. A study by the Building Research Association of New Zealand (BRANZ) estimates the daily winter indoor temperature for most houses is 16°C. Bedrooms are typically around one to three degrees colder than living areas. According to BRANZ, low-income households are more likely to have low indoor temperatures during winter. Tenanted and one-person households are also over-represented in low-temperature dwellings. The chilling news keeps coming. Latest results from the University of Auckland's Growing Up in New Zealand study show children living in deprived areas are more likely to live in homes with no heating. The results show these children are also more likely to sleep in bedrooms that are damp or have heavy condensation. A major independent report on fuel poverty in the UK is the latest to draw the link between living in low-temperature dwellings and ill-health. Authored by Professor John Hills from the London School of Economics, the report concludes low indoor temperatures "are likely to be a significant contributor" to excess winter deaths and to demands on health services. So far, the only concession to low-income households here has been the funding provided for home insulation. The Warm Up New Zealand scheme pays the cost of ceiling and under-floor insulation if you have a community services card and are at risk of ill-health from cold, damp housing. According to the UK Hills report, improving the thermal efficiency of housing is generally the most cost-effective way to attack fuel poverty. However, housing upgrades usually take some years and the report acknowledges other approaches – such as price subsidies – may be needed. Researchers at the University of Otago’s Housing and Health Research Programme have flagged better targeting of the Warm Up New Zealand scheme as a way to help at-risk households. Given that a large proportion of these households are likely to be renting, they've also pressed for minimum heating and insulation standards for rental properties. This type of market intervention is already happening elsewhere. From 2016, UK landlords won't be able to unreasonably refuse tenants' requests for energy-efficiency improvements. By 2018, all private rented properties there will have to meet a minimum energy-efficiency rating. Viggers and O'Sullivan believe policies for reducing fuel poverty must include price regulation. Some of the pain could be reduced by requiring power companies to provide low-use tariffs. Regulations currently require companies to offer "low fixed charge" plans. But, as O'Sullivan points out, these plans have a higher variable charge for electricity use. In effect, savings on the fixed charge are largely clawed back on the variable charge. O'Sullivan also believes regulations are needed to restrict electricity companies from charging more for power purchased through prepay meters. She says the meters themselves aren't the problem: it's the way they're being regulated, priced and marketed which is likely to cause greater hardship for people like Howard and Kahu struggling with fuel poverty. Research shows fuel poverty is a growing and serious problem. With electricity prices forecast to continue to rise, the situation looks set to get worse. Financial assistance for heating and insulation upgrades in at-risk homes needs to be a priority. Regulation of low-use tariffs and prepay meters also needs to be high on the agenda. Those who are hardest hit by rising prices shouldn't be penalised for paying in advance. Companies: Meridian Energy ended its Christchurch prepay plan in September 2012. Annual costs are based on 20 April 2012 prices from Powerswitch. Fixed-term plans are excluded from the comparison. Costs assume a 3-4 person household with electricity used for hot water, heating and cooking and with one person usually home on weekdays. Cheapest standard plan has controlled water-heating and includes electronic and prompt-payment discounts. Domestic power prices rose 48 percent in real terms between 2000 and 2010. According to Statistics New Zealand, household energy costs fell marginally in the last two quarters of 2011 – a move linked largely to an increase in prompt-payment discounts. But they rose again (0.1 percent) in the first quarter of 2012 and there's more to come. Electricity companies have recently announced further price hikes, blaming Transpower's decision to increase transmission charges as the main reason. While prices continue to head skywards, it's possible to take the edge off the financial pain. Powerswitch.org.nz is our free energy-comparison website. You can use the site to identify whether you're on the cheapest power plan and switch to another provider if you're not. The Electricity Authority, which encourages consumers to shop around through its What's My Number campaign, estimates the average annual saving through changing power companies is $165. 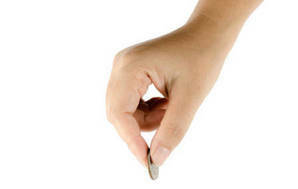 Depending on the rates charged by your current provider, savings can be higher. We compared the cheapest electricity plans on offer in Auckland, Wellington, Christchurch and Dunedin (see our table below). Over one year a small Auckland household could save up to $292 by changing providers; a medium Wellington household could save up to $565 and a large Christchurch household as much as $1021. Powerswitch will give you an idea of how much you could save by switching. The site calculates your electricity use and lists the cheapest plan for your household. If you have a recent power bill based on an actual reading, you can get a better idea of savings. Companies are listed alphabetically. 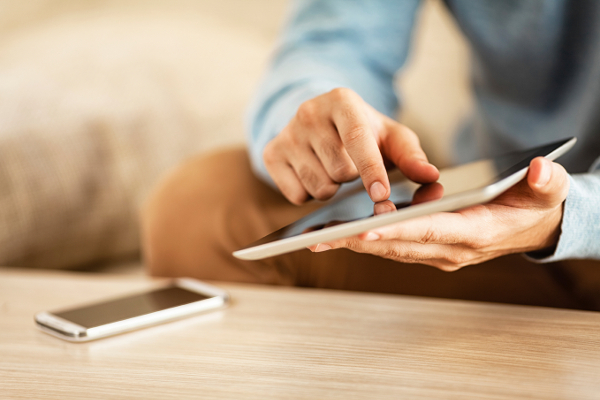 Energy Online requires new customers to use a minimum amount of electricity each month. Annual costs are those of each company's cheapest standard plan and are based on April 2012 prices from Powerswitch. Fixed-term plans are excluded from the comparison. Costs assume a heat pump as the main source of heat, supplemented by electric plug-in heaters; electricity is also used for hot water and cooking. Small household = 1-2 people with no one at home during the day on weekdays. Medium household = 3-4 people with at least one person at home during the day on weekdays. Large household = 5+ people with at least one person at home during the day on weekdays. The Electricity Commission (now replaced by the Electricity Authority) issued guidelines for medically dependent and vulnerable consumers in 2005. The guidelines, substantially revised after the 2007 Folole Muliaga case, are intended to prevent consumers dependent on electricity for "critical medical support" from being disconnected. "Vulnerable" consumers can still be disconnected but before this happens the company is expected to advise them of assistance available from social agencies and offer alternative payment arrangements. it is genuinely difficult for the consumer to pay their bill because of severe financial insecurity, whether temporary or permanent. James Munro, Mighty River's General Manager Retail, defends the use of prepay meters. Products like the company's GLO-BUG system "provide a user-friendly option for people who struggle to pay their monthly power bills, or want better control over how much they spend," he says. Munro says prepay systems offer "a solution to avoid debt and additional costs from disconnection, reconnection and other fees – which can average $300 a year per customer above the cost of electricity. 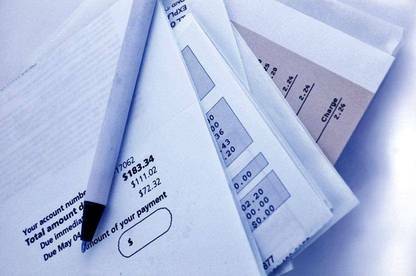 Additionally customers avoid costs from debt collection agencies and having their credit histories further impacted." While customers don't receive prompt payment discounts, he says the total amount they pay for electricity "can and often does go down because they avoid fees they were previously paying and become more aware and energy efficient in their day-to-day lives". 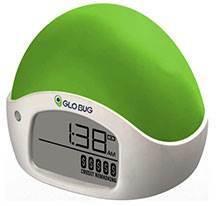 GLO-BUG customers are also offered interest-free relief to pay off historical debt, which would otherwise have had to be paid in full prior to reconnecting, he says.